The Cabo Eagle Diver dive shop is located at the famous Marina Cabo San Lucas, in the Plaza Embarcadero at the cabo main dock (five minutes by boat to cabo dive sites) where all the action takes place; from the most famous restaurants to all the cabo water activities (scuba diving, snorkeling, whale watching, etc.). 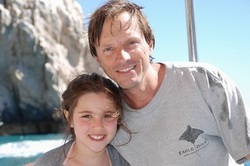 Cabo Eagle divers is personally run by the owner. Dive training is done individually one on one by qualified and experienced PADI dive instructors (PADI Courses, Divemaster Intership, Nitrox courses, etc). Our reputation for safe and great service on land and below the sea keeps divers coming back to us. Our dive trips, expeditions (Cabo Pulmo, Gordo Banks,etc) and Cabo PADI courses are designed for small groups, making the experience more personal and your training more valuable. Scuba Diving in Mexico is available throughout the year, although visibility changes according to the Cabo season. You can rent all the necessary dive equipment from us or bring your own dive gear if you prefer. We offer competitive pricing, we want you to be satisfied with what you get in return. Whether you’re PADI, NAUI, SSI certified (or any scuba dive certification agency) or a beginner, come to us; you will find a friendly and knowledgeable staff devoted to helping you explore the wonders of the underwater world. Our team of professional instructors offers individual attention and an absolute adventure you can never forget. 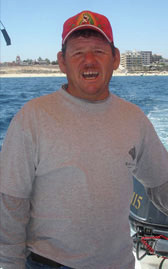 We offer the best scuba dive expedition to Cabo Pulmo, Gordo Banks and La Paz in the sea of cortez. 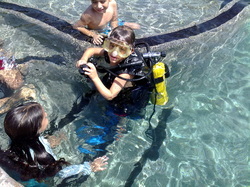 Our mission is to teach you how to scuba dive at your own pace and with the maximum safety level ever imaginable. Provide exciting scuba diving and snorkeling opportunities and adventurous travels through quality PADI education with a professional staff. Enjoy diving in Cabo San Lucas, Mexico with us. 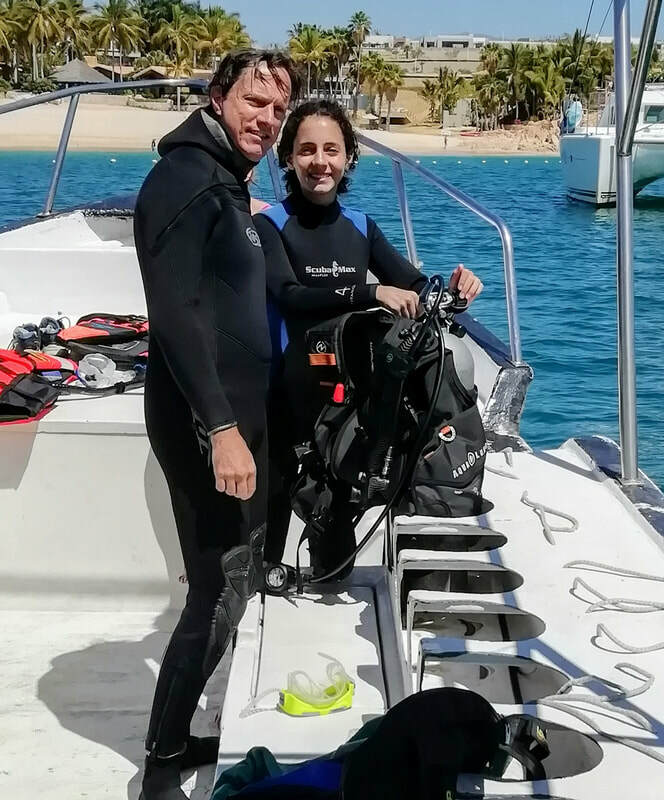 Our staff have many year of experience diving in Baja, are PADI certified, speaks English, and trained in first aid; friendly and professional is dedicated to provide you with a safety, fun and memorable dive vacation. In addition to general coast-guard safety requirements, our boats are also equipped with a GPS, Oxygen kit, MFA kit, Radio VHF DSC, and cell phone. Our new 30 feet Eagle Divers II is a custom-made dive boat powered by two 75 hp 4 stroke Yamaha outboard engines; It has sun deck, ample shade, dry storage, toilet and space for 15 divers and 2 guides. Special for ours expeditions tours. Also our 28 feet Eagle Divers is a custom-made dive boat powered by a 115hp Yamaha outboard engine, with a nice and easy ladder to get out of the water, shade area and also Glass Bottom. Special for small group and families. The diving gear is in very good conditions, with Sherwood regulators, Cressi and Aqualung BCD's, wet suit Scuba Max farmer johns. Also we have aluminum tanks 80 cf DIN and Yoke valves and for women and kids 63 cf , 45 cf. SAFETY DEVICE: Nautilus Lifeline GPS- VHF radio for divers. Buoy and whistle for divers in Gordo Banks trips.